THERE must have been a time in the history of Northampton – as well as many other UK towns – when the Hindu celebration of Diwali would have seemed just a distant concept to many residents. But as Asian communities have grown up in the town, many would say there is now a much greater understanding of the religion and what it stands for. 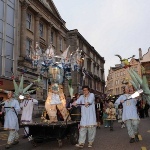 Nowadays, Hindus young and old celebrate Diwali – a religious festival also observed by Jains and Sikhs – with public parades and entertainments in Northampton’s centre; events which are open to the whole community. It is believed there are now about 500 Hindu families living in Northampton, but there was a time when the community was much smaller and people moving to the town struggled to find local places in which they would express their faith. This story of how Hinduism has grown in the town and how those who practice the faith feel about living in Northampton today will be among the subjects touched on in a special exhibition to be held this weekend as part of the 2010 Heritage Open Days. The national Heritage Open Days starts today and Northampton is just one of the places where many historic buildings will open their doors to the public to give them a chance to enjoy learning a little more about local history. The exhibition at the Guildhall will be among the attractions at this year’s heritage event and will offer the public an opportunity to hear about the first hand experiences of Hindus living in Northampton. There will also be a chance to watch short films taken from last year’s Diwali celebrations in Northampton as well as displays of traditional drums and dance. Philip Kiberd, of the Jewish heritage project JTrails, was asked to work with the Northampton Youth Forum in carrying out some of the interviews with the Indian Hindu Welfare Organisation. The exhibition is being shown on Saturday from 10am to 4pm and on Sunday between 1pm and 5pm. 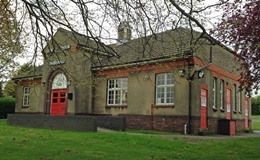 All Saints Church, town centre (Thur-Fri 9am-6pm, Sun 7.45am-7.30pm) NB: church services will continue as usual. For the latest Northampton Heritage Open Days information visit www.northampton.gov.uk/heritageopendays or call the conservation team on 837837.